Original film footage had NO audio, I added US Air Force Band Music. 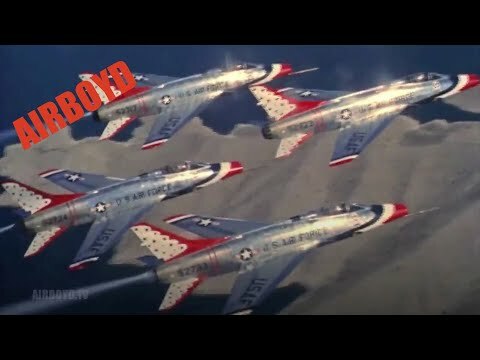 Video Courtesy FedFlix public.resource.org Audio Courtesy United States Air Force Band usafband.af.mil http://en.wikipedia.org/wiki/F-100_Super_Sabre National Archives and Records Administration Supersonic Thunderbirds Department of Defense. Department of the Air Force. (09/26/1947 - ) SUPERSONIC THUNDERBIRDS, NELLIS AFB, NEVADA AND VAN NUYS CALIFORNIA, 26 FEBRUARY - 16 MARCH 1959, 02/26/1959 - 03/16/1959. ARC Identifier 67591 / Local Identifier 342-USAF-27272. Summary: Coverage of the USAF Thunderbirds in F-100's doing aero-acrobatics over Lake Meade and Mt. Charleston, Nevada; also control tower operations at Van Nuys, California. SLATE: CAMERAMAN: HATCH. 4' ACU from camera in plane in aircraft doing a 360-degree turn -- camera is turned on its side in relation to the pilot. 120' CU instrument panel and stick of F-100 in flight. 141' SLATE: CAMERAMAN: HATCH. 143' AMLS F-100 doing outside loop (sound track area at right of frame). 163' AMS F-100 doing outside loop taken from the slot position of formation (sound track area at right of frame). 235' AMS F-100 doing outside loop (sound track area at right of frame). 359' MS Thunderbird F-100 landing at Nellis AFB. 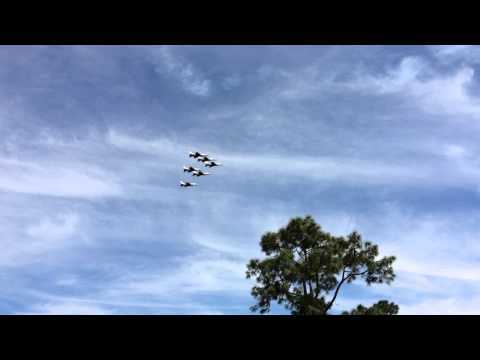 568' AMCU Thunderbirds flying in formation. 645' ALS Thunderbirds making a crisscross after bomb-burst. 668' LS Thunderbirds in formation and making low passes singly. 741' ALS & AMLS Thunderbirds making a crisscross after the bomb-burst. 841' AELS Thunderbirds doing a bomb-burst. 862' Total footage in reel. 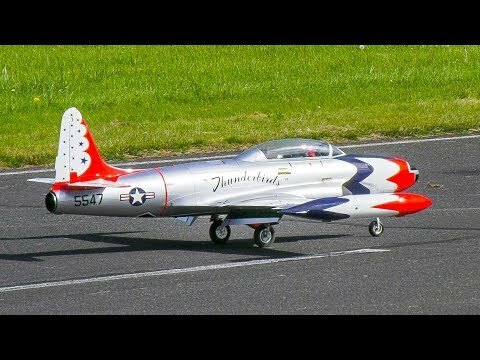 Reel 2: LS Thunderbirds in F-100's making low level passes singly and in formation. 877' Total footage in reel. Reel 3: AMLS of Mt. Charleston area from aircraft doing 360 degree vertical turn. 390' AMLS Thunderbirds in F-100's doing loop. 638' AMLS Thunderbirds in F-100's doing bomb-burst. 685' ALS Thunderbirds in F-100's doing crisscross after the bomb-burst. 730' ALS aircraft lining up and landing at Nellis AFB. 764' Total footage in reel. Reel 4: ALS taken from the aircraft doing a loop over Lake Meade, Nevada. 87' ALS taken from aircraft doing a 360 degree vertical turn over Mt. Charleston area. 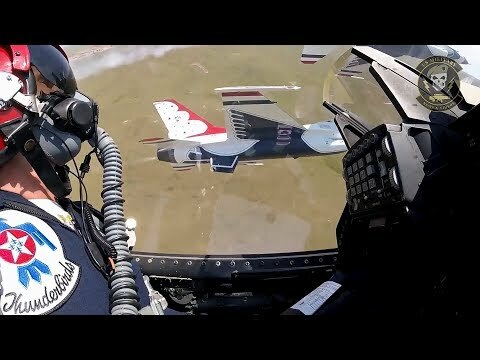 152' AMS Thunderbirds doing a loop. 280' Total footage in reel. Good (Basic: Orig color) Made possible by a donation from Shawn Masters. Click to subscribe! http://bit.ly/subAIRBOYD The most viewed aviation channel on YouTube. The appearance of U.S. Department of Defense (DoD) visual information does not imply or constitute DoD endorsement.